Cather and her twin sister Wren (get it?) move to college leaving their dad behind. Mom left the family when the girls were eight. Since then the three of them had to fend for themselves. Cath (as she prefers to be called) cocoons her life with a passive boyfriend, her sister’s friends and the books of Simon Snow (our world’s Harry Potter.) In high school, Cath and Wren write slash fan fiction with the two main adversaries of Simon Snow. When college starts Wren decides she wants be more independent and not room with Cath. As Cath tries to reconstruct her routine she withdraws more and more into continuing writing the fan fiction and school. It is her exasperated roommate that finally forces Cath to start interacting with others. A character development story, Rowell Cath is reluctant who likes her life the way it was, despite its own problems. 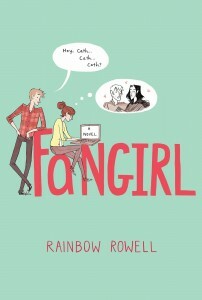 Cath is a likeable character in that her shyness is one other quiet people who hide away into books can relate. Each chapter opens with quotes from both the fictional fantasy book “Simon Snow” and from Cath’s fan fiction. I found the fan fiction story compelling and more interesting than the “cannon” version which seemed safe and ordinary by comparison. 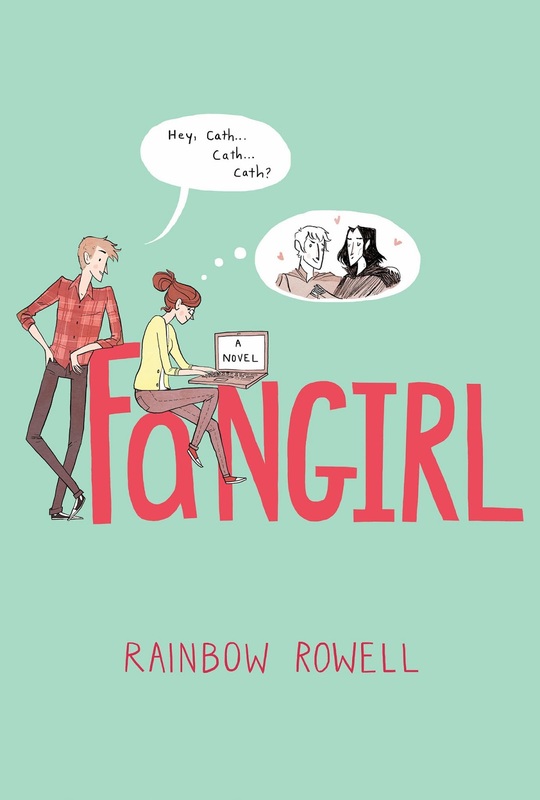 I was sad to finish “Fangirl.” I really liked that world. Recommended for Upper Middle School and up.